Not to be confused with Japanese language. Javanese /dʒɑːvəˈniːz/ (ꦧꦱꦗꦮ, basa jawa; IPA: [bɔsɔ dʒɔwɔ]) (colloquially known as ꦕꦫꦗꦮ, cara jawa; IPA: [tjɔrɔ dʒɔwɔ]) is the language of the Javanese people from the central and eastern parts of the island of Java, in Indonesia. There are also pockets of Javanese speakers in the northern coast of western Java. It is the native language of more than 98 million people (more than 42% of the total population of Indonesia). The language is spoken in Central and East Java, as well as on the north coast of West Java. It is also spoken elsewhere by the Javanese people in other provinces of Indonesia, which are numerous due to the government-sanctioned transmigration program in the late 20th century, including Lampung, Jambi, and North Sumatra provinces. In Suriname, creolized Javanese is spoken among descendants of plantation migrants brought by the Dutch during the 19th century. In Madura, Bali, Lombok, and the Sunda region of West Java, it is also used as a literary language. It was the court language in Palembang, South Sumatra, until the palace was sacked by the Dutch in the late 18th century. Javanese is written with the Latin script, Javanese script, and Arabic script. In the present day, the Latin script dominates writings, although the Javanese script is still taught as part of the compulsory Javanese language subject in elementary up to high school levels in Central and East Java. There are three main dialects of the modern language: Central Javanese, Eastern Javanese, and Western Javanese. There is a dialect continuum from Banten in the extreme west of Java to Banyuwangi Regency in the eastern corner of the island. All Javanese dialects are more or less mutually intelligible. Apart from Madurese, Javanese is the only language of Western Indonesia to possess a distinction between dental and retroflex phonemes. The latter sounds are transcribed as "th" and "dh" in the modern Roman script, but previously by the use of an underdot: "ṭ" and "ḍ". Some scholars take this to be an influence from Sanskrit, but others believe it could be an independent development within the Austronesian super-family. Modern Javanese: "Dhèwèké (S) teka (V) ìng (pp.) keraton (O)". Verbs are not inflected for person or number. There is no grammatical tense; time is expressed by auxiliary words meaning "yesterday", "already", etc. There is a complex system of verb affixes to express differences of status in subject and object. However, in general the structure of Javanese sentences both Old and Modern can be described using the topic–comment model, without having to refer to conventional grammatical categories. The topic is the head of the sentence; the comment is the modifier. So the example sentence has a simpler description: Dhèwèké = topic; teka = comment; ing keraton = setting. There are far fewer Arabic loanwords in Javanese than in Malay, and they are usually concerned with Islamic religion. Nevertheless, some words have entered the basic vocabulary, such as pikir ("to think", from the Arabic fikr), badan ("body"), mripat ("eye", thought to be derived from the Arabic ma'rifah, meaning "knowledge" or "vision"). 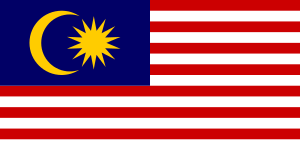 However, these Arabic words typically have native Austronesian or Sanskrit alternatives: pikir = galih, idhĕp (Austronesian) and manah, cipta, or cita (from Sanskrit); badan = awak (Austronesian) and slira, sarira, or angga (from Sanskrit); and mripat = mata (Austronesian) and soca or netra (from Sanskrit). Madyå (ꦩꦢꦾ). Intermediate between ngoko and krama. Strangers on the street would use it, where status differences may be unknown and one wants to be neither too formal nor too informal. The term is from Sanskrit madhya ("middle"). Kråmå (ꦏꦿꦩ). The polite and formal style. It is used between those of the same status when they do not wish to be informal. It is used by persons of lower status to persons of higher status, such as young people to their elders, or subordinates to bosses; and it is the official style for public speeches, announcements, etc. The term is from Sanskrit krama ("in order"). 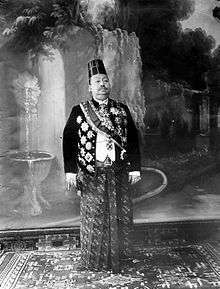 Central Javanese (Jawa Tengahan) is founded on the speech of Surakarta and to a lesser extent of Yogyakarta. It is considered the most "refined" of the regional variants, and serves as a model for the standard language. Those two cities are the seats of four Javanese principalities (heirs to the Mataram Sultanate) that once dominated the whole of Java and beyond. This variant is used throughout Central Java and Special Region of Yogyakarta, and there are many lower-level dialects such as Muria and Semarangan, as well as Surakarta and Yogyakarta themselves. The variations in Central Java are said to be so plentiful that almost every administrative region (or kabupaten) has its own local slang; but those minor dialects are not seen as distinct by most Javanese speakers. Mataraman dialect / Standard dialect is spoken commonly in Yogyakarta, Surakarta, Klaten, Karanganyar, Wonogiri, Sukoharjo, and Boyolali. Eastern North-Coast dialect, or dialek Muria, is spoken in Jepara, Rembang, Kudus, Pati, and also in Tuban and Bojonegoro. North Banten dialect (Jawa Serang) is spoken in Serang, Cilegon, and the western part of Tangerang regency. Cirebon dialect (Cirebonan or Basa Cerbon) is spoken in Cirebon and Losari. Indramayu dialect (or Dermayon), which is spoken in Indramayu, Karawang, and Subang, is sometimes included in Cirebonan. Tegal dialect, known as Tegalan or Dialek Pantura (North-Coast dialect), is spoken in Tegal, Brebes, and the western part of Pemalang regency. These Western Javanese dialects are sometimes referred to as basa ngapak-apak by other Javanese. Eastern Javanese (Jawa Wetanan) speakers range from the eastern banks of Brantas River in Kertosono, and from Nganjuk to Banyuwangi, comprising the majority of the East Java province excluding Madura island. 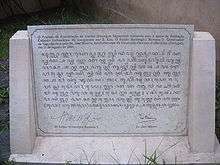 However, the variant has been influenced by Madurese, and is sometimes referred to as Surabayan speech. The most outlying Eastern Javanese dialect is spoken in Balambangan (or Banyuwangi). It is generally known as Basa Osing. Osing, a local negation word, is a cognate of tusing in Balinese. Tengger dialect used by Tenggerese people, which is centered in thirty villages in the isolated Tengger mountains (Mount Bromo) within the Bromo Tengger Semeru National Park in East-Central Java. Surinamese-Javanese is mainly based on Central Javanese, especially from the Kedu residency. The number of speakers of Suriname-Javanese in Suriname is estimated at 60.000 (2012). Most Surinamese-Javanese are bi- or trilingual. According to the 2004 census, Surinamese-Javanese was the first or second language in 11 percent of households. In a 2012 study of multilingualism in Surinamese education by the Dutch Language Union, 3497 out of 22.643 (15 percent) pupils in primary education indicated Surinamese-Javanese as a language spoken at home. Most of them were living in the Wanica and Paramaribo districts. 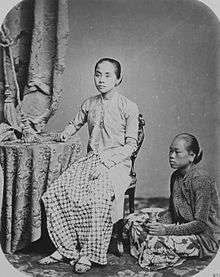 Not all immigrants from Indonesia to Suriname were speakers of Javanese. Immigration records show that 90 percent of immigrants were Javanese, with 5 percent Sundanese, 0,5 percent Madurese and 2,5 percent from Batavia. The ethnic composition of this last group was not determinable. Probably Sundanese, Madurese or Malay speaking immigrants were forced to learn Javanese during their stay in Suriname to adapt. In view of the language policies in Netherlands Indies at the time of immigration, it is unlikely the immigrants had knowledge of the Dutch language prior to immigration to Suriname. Dutch today is the official language of Suriname. Surinamese Javanese is somewhat different from Indonesian Javanese. In Surinamese-Javanese there is a difference between formal and informal speech. Surinamese-Javanese took many loanwords from languages like Dutch, Sranantongo, Sarnami and Bahasa Indonesia. The influence of the latter language, which is not spoken in Suriname, can be attributed to the Indonesian embassy and Islamic teachers from Indonesia. Indonesian movies are popular, and usually shown without subtitles on Surinamese-Javanese television channels. In the 2012 survey, pupils who indicated Surinamese-Javanese as a language spoken at home, reported Dutch (97,9 percent) and Sranantongo (76,9 percent) also being spoken in the household. Western Javanese tend to glottalize every last vowel of a word as euphony, e.g. : Ana apa? [anak kapaʔ] "What happened? ", Aja kaya kuwe! [adʒak kajak kuɛʔ] "Don't be like that!". Later, intensive contacts with the Dutch and with other Indonesians gave rise to a simplified form of Javanese and influx of foreign loanwords. Some scholars dub the spoken form of Javanese in the 20th century Modern Javanese, although it is essentially still the same language as New Javanese. Letters have subscript forms used to transcribe consonant clusters, though the shape are relatively straightforward, and not as distinct as conjunct forms of Devanagari. 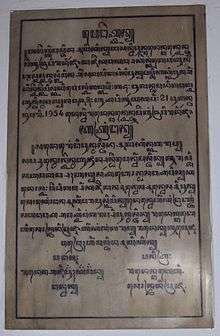 Some letters are only present in old Javanese and became obsolete in modern Javanese. Some of these letter became "capital" forms used in proper names. Punctuation includes a comma; period; a mark that covers the colon, quotations, and indicates numerals; and marks to introduce a chapter, poem, song, or letter. The letters f, q, v, x, and z are used in loanwords from European languages and Arabic. ↑ Hammarström, Harald; Forkel, Robert; Haspelmath, Martin; Bank, Sebastian, eds. (2016). "Javanesic". Glottolog 2.7. Jena: Max Planck Institute for the Science of Human History. 1 2 3 4 Brown, Keith; Ogilvie, Sarah (2008). Concise encyclopedia of languages of the world. Elsevier. p. 560. ISBN 9780080877747. Retrieved 2010-05-24. Madurese also possesses aspirated phonemes, including at least one aspirated retroflex phoneme. ↑ A sibilant before a retroflex stop in Sanskrit loanwords is pronounced as a retroflex sibilant, whereas in modern Indian languages it is pronounced as a palatal sibilant. Though Acehnese and Balinese also possess a retroflex voiceless stop, this is merely an allophone of /t/. ↑ The Old Javanese spelling is modified to suit Modern Javanese spelling. 1 2 Wolff, John U.; Soepomo Poedjosoedarmo (1982). Communicative Codes in Central Java. Cornell Southeast Asia Program. p. 4. ISBN 0-87727-116-X. ↑ For example Pigeaud's dictionary in 1939 is almost exclusively based on Surakarta speech (1939:viii–xiii). ↑ This area of Java has the island of Bali immediately to the east, and was formerly under the control of Balinese kings and warlords. ↑ The data are taken from the census of 1980 as provided by James J. Fox and Peter Gardiner and published by S. A. Wurm and Shiro Hattori, eds. 1983. Language Atlas of the Pacific Area, Part II: (Insular South-East Asia), Canberra. ↑ In 1980 this included the now separate Banten province. ↑ According to James J. Fox and Peter Gardiner (Wurm and Hattori, 1983). ↑ Collins Concise Dictionary Plus (1989). ↑ The distribution of persons living in Javanese-speaking households in East Java and Lampung requires clarification. For East Java, daily-language percentages are as follows: 74.5 Javanese, 23.0 Madurese, and 2.2 Indonesian. For Lampung, the official percentages are 62.4 Javanese, 16.4 Lampungese and other languages, 10.5 Sundanese, and 9.4 Indonesian. The figures are somewhat outdated for some regions, especially Jakarta; but they remain more or less stable for the rest of Java. In Jakarta the number of Javanese has increased tenfold in the last 25 years. On the other hand, because of the conflict the number of Javanese in Aceh might have decreased. It is also relevant that Banten has separated from West Java province in 2000. ↑ Many commuters to Jakarta live in the suburbs in Banten, among them also Javanese speakers. Their exact number is unknown. ↑ Unfortunately, the aspirated phonemes of Madurese are not reproduced in writing. The 19th-century scribes apparently overlooked the fact that Javanese script does possess the required characters. ↑ Bartje S. Setrowidjojo and Ruben T. Setrowidjojo Het Surinaams-Javaans = Tyoro Jowo-Suriname, Den Haag: Suara Jawa, 1994, ISBN 90-802125-1-2.